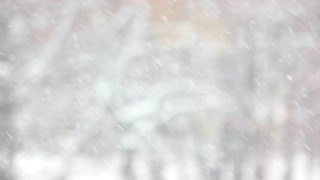 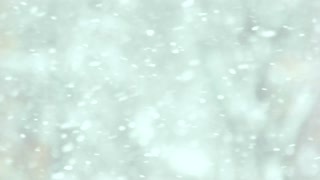 Snow falling on blurred winter landscape. 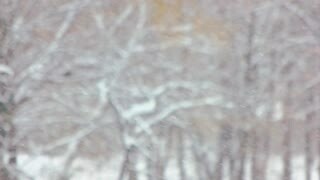 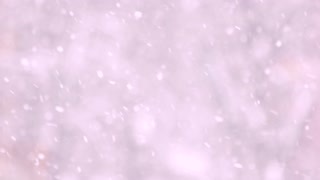 Falling snow particles on winter forest background close up. 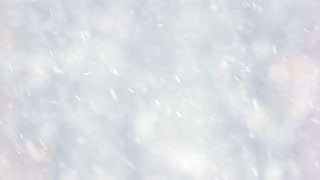 Christmas winter snow storm.